A decade ago, cities put emphasis on revitalizing downtown areas and making them more livable. This made a lot of sense given that young Millennials had few family responsibilities and wanted to be close to the action downtown. Building condos downtown worked for cities during the recession because increasing the housing options required little investment in infrastructure. Plus, more people were renting than buying since loans were harder to get. But in the last few years the suburbs have made a resurgence. Even Millennials are now moving to the suburbs – and they’re influencing future development outside of cities. 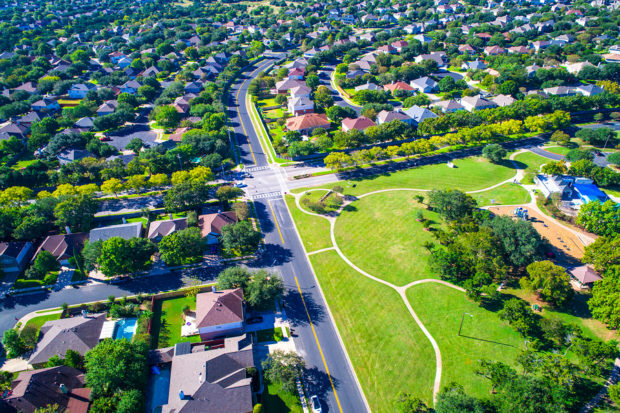 The renewed interest in the suburbs is mainly due to Millennials getting older and starting families, but there are tons of reasons the burbs are thriving and expanding. Here are nine benefits that are encouraging people to move back to the suburbs. New Home Source notes the popularity of suburbs is growing because they offer more space to spread out. The closer you get to a city center the smaller the living spaces tend to be, even in Texas where things are bigger. This could be doable for some single professionals or couples, but for families it can be an issue. Dog owners and auto enthusiasts also find downtown living to be limiting. As homes get less affordable in city centers, people are moving further out. Even though the homes are bigger, in the suburbs they are often less expensive. 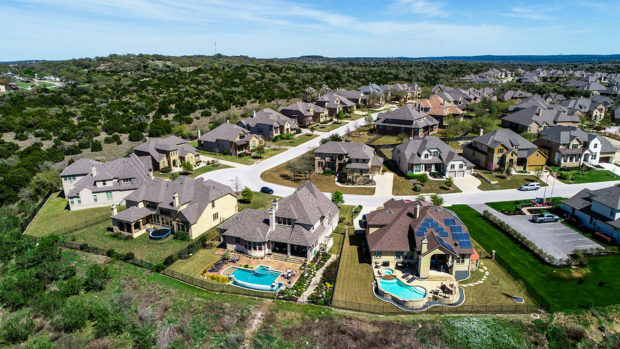 Case in point, in August 2018 the median price of single-family homes in Hays County south of Austin was $294,659. In Williamson County to the north it was $294,612. But in the city of Austin the median price of a single-family home was $393,000. When you want to get the most home for your money, the suburbs are the place to house hunt. Sure, you may have to commute a little farther when you live in the suburbs, but that’s about the only time you’ll have to deal with the crowds of the city. Suburbs almost always have less people per square mile, which means less congestion. For instance, Houston had a population density of 3,737 people per square mile in 2016. During that same year Katy had 1,477.7 people per square mile. One key area where less crowding is a big deal is in schools. The suburbs typically have a better student-to-teacher ratio. One of the major benefits of suburban living for families is the school systems. Although charter schools are beginning to change the landscape everywhere, on a whole, suburbs tend to have higher-rated schools. In Texas, this is certainly the case where suburban school districts like Lake Travis ISD and Leander ISD are among the most highly rated in the state. Because there are less people and wider, open spaces the suburbs can offer people more privacy compared to city living. This is particularly true when comparing the housing communities of suburbs with the apartment complexes and condos of urban developments. This is just one way Millennial migration into the suburbs is changing development. 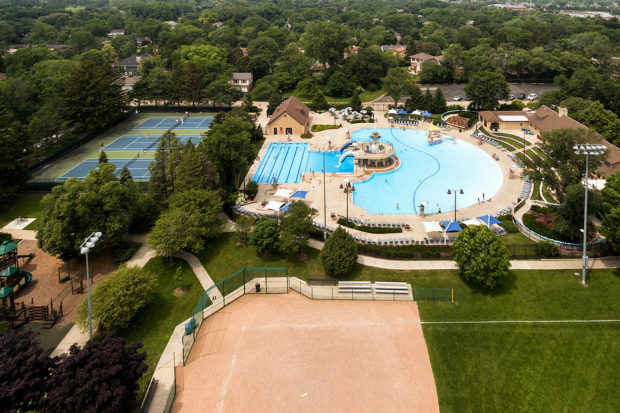 As the population in suburbs has grown and changed so have the selection of amenities. From organic markets to entertainment venues, New Urbanism is bringing more variety and options to suburban residents. And all those amenities are closer than ever. Many new communities are being developed to be walkable. Today, there are even mixed used spaces beginning to be developed in suburbs. More and more suburbs are starting to feel like small cities, without the higher price tag. While some cities like Austin and San Diego have a fair amount of green space that isn’t always the case in every big city. However, more greenery and nature is a given in suburbs. For outdoor lovers, the suburbs offer much more nature, trails and parks to enjoy. Many communities even have their own hike and bike trails for neighborhood residents. Years ago there was max exodus to the suburbs mainly due to safety concerns. Cities are safer today than they’ve been in decades, but most still have higher crime rates than the surrounding suburbs. It’s also more common to see gated communities in the suburbs. For many people safety is a top concern, particularly for those that have children. To be fair, no matter where you live you can always get involved in the local community one way or another. However, in a smaller suburban community it’s much easier to get heard and take on a role within the local government, your kids’ schools, etc. because there are less people to contend with. Moving to the suburbs of Austin, Houston or another city in Texas? Square Cow Movers can get you moved into your suburban dream home with less stress! We’ve helped hundreds of families, couples and individuals move throughout Central Texas whether it’s the city, the suburbs or the sticks. Give us a call or fill out the instant moving quote form to learn more!